We are working on a brand new online storefront with all of our latest releases! Check back, or contact us via phone at 209-736-4766 if you would like to place an order! 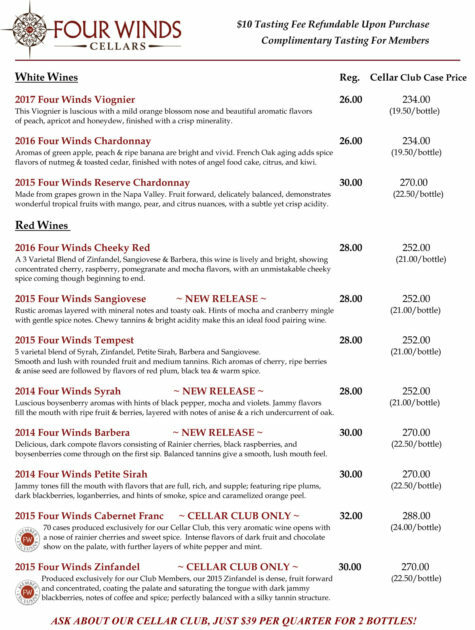 Click on the Wine List below to enlarge. 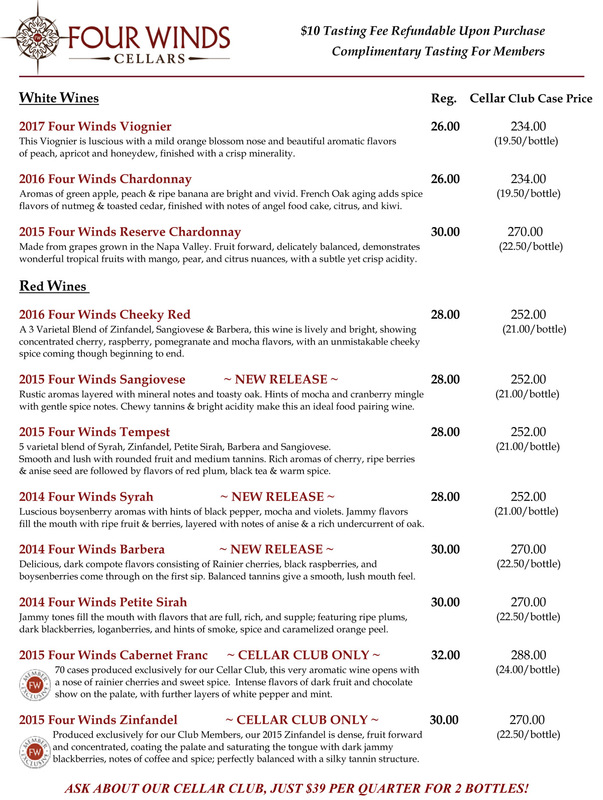 Visit the Tasting Room in Murphys to sample our latest release … CHEEKY RED!